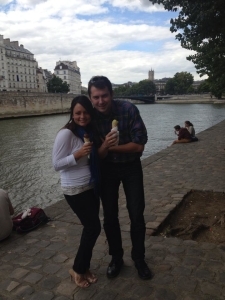 If you are a foodie and you want to learn about the fascinating world of French Gastronomy, this tour is for you ! Your gastronomic expert will share with you his knowledge, experience, best food addresses, and lead you to the best places in the capital, famous for the high quality and the choice of its food produce. Today, you will find out the traditions of some prestigious places, and learn the history and anecdotes of the neighbourhood life whilst driving around the narrow streets of the capital. Have Fun ! 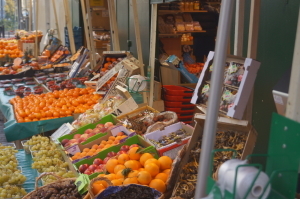 Your guide will wait for you in the lobby of your hotel or apartment in Paris at 9.00 am and you will depart immediately to one of the biggest markets in Paris where you will find a rich variety of fresh products. Fish, meats, cheeses, fruit, vegetables and flowers are delivered almost daily to this amazing place. Your guide will show you some of the specialities which have contributed to the French reputation in Gastronomy. You will learn about french food habits, and receive recommendations on how to choose and prepare the produce. This walk is not to be missed ! Discover the best food adresses of the moment !!! Following this, you will be driven to the best food addresses of the moment making the appropriate stops for tasting. Paris is like New York ! Every restaurant, bistro, bakery or food market has its own speciality, and every week you have new places which open in ‘the capital of food’. This is what you are going to discover with your guide. He will also give you good tips to select the best restaurants and food specialities. 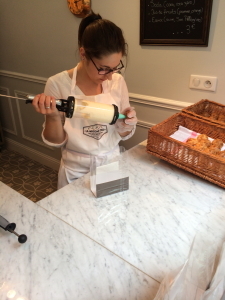 Your food experience would not be complete without one of Paris’ famous pastries. Enjoy the signature creations of some of the world’s best pâtissiers and discover what a real French éclaire should taste like. 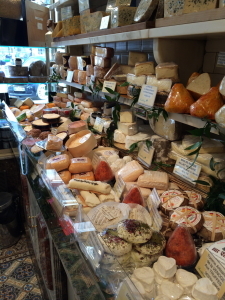 Even though some tastings will be free in the markets, and some shops do offer free samples, we highly recommend that for this tour you have a small budget, so that you can buy some bread, macarons, chocolate or cheese. Some places are quite exclusive and very famous, so do not provide samples directly on the spot. Your guide will teach you how to order a croissant and choose a good baguette at a local boulangerie. You will never look at a baguette in quite the same way again. At the end of the tour, your guide will give you his personalised list of all the places that you have been with him throughout the morning, so you can go back during your stay to the places you loved most. In accordance with your wishes, he will also help you to make bookings in the best restaurants. Don’t forget, that there are always new restaurants in Paris and you have to be aware of what’s going on. You want to make sure you go there when the chef is cooking in the kitchen ! After this delightful and very tasty morning, you will be dropped off at your hotel, or wherever you want, inside Paris.